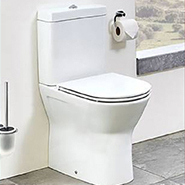 We have a large range of beautifully crafted bathroom toilets (WC) in unique styles that will fit seamlessly into a variety of interior designs. 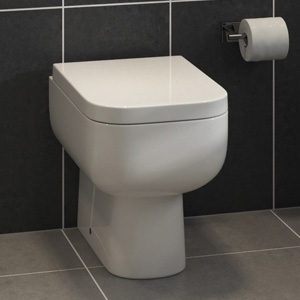 Our range includes back to wall, close coupled, comfort height and wall hung toilets. Our ceramic manufacturing process is highly automated for a robust, high quality finish that is built to last! MIX & MATCH any 3 pieces of NWT Bathroom Furniture or Sanitaryware to automatically receive the 10% discount at checkout. Our Brio range of sleek, modern sanitaryware is ideal for a variety of bathroom installations where you want a clean, cubic, angular finish. 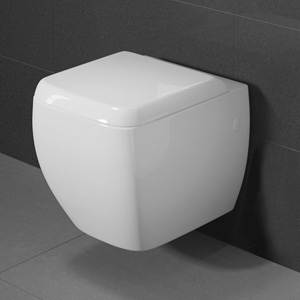 The Brio Back to Wall WC including Concealed Cistern & Luxury Soft Close Seat and Cover is ideal for minimal installations or where space is a premium. Our Brio range of sleek, modern sanitaryware is ideal for a variety of bathroom installations where you want a clean, cubic, angular finish. 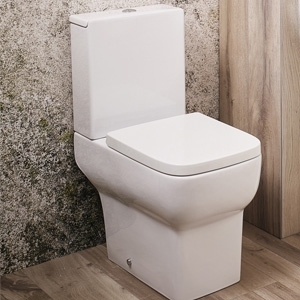 The Brio WC including Concealed Cistern & Luxury Soft Close Seat and Cover is ideal for minimal installations or where space is a premium. Our Victoria range of traditional, quality sanitaryware is ideal for a variety of bathroom installations where you want a stunning, classical finish. 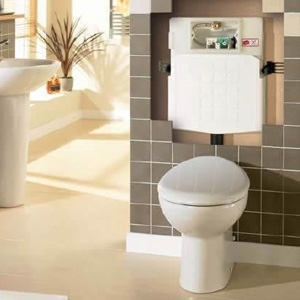 The Victoria Low Level Pan & High Level Cistern Traditional WC including Cistern & Luxury Soft Close Seat and Cover is a statement piece within the range which oozes classic, elegant design.